Speaking Engagement – As a professional with a variety of expertise and interests, I have spoken at many meetings, conferences, and conventions. I welcome hearing from you if you believe I can fulfill a role for an upcoming engagement. I enjoy connecting with and impacting my audience. 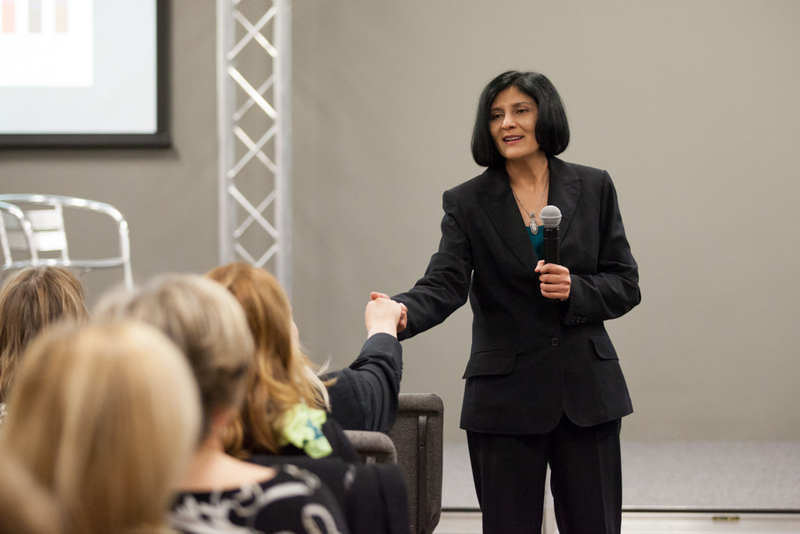 In many of my talks, I relate my experiences and successes that allow me to guide leaders, teams, and professionals through various business and personal challenges. What I do is combine my practical experience and your goals to demonstrate to the audience how to overcome the particular obstacles you are facing. I am flattered that I receive very positive reviews whenever I speak at organizational workshops, conferences, and corporate events. I can connect with audiences across all industries. I focus on giving them strategies and tools to implement in their professional and personal lives. I speak on a variety of subjects that are beneficial to large corporations, smaller businesses, nonprofit organizations, and any gathering of entrepreneurs. All of my workshops can be adapted to fit into the constraints of speaking to a group. Once you learn the techniques of leadership and influence, your confidence to lead will improve. Leadership does not necessarily come naturally to everyone, but you can learn its techniques. Then experience refines it. Leadership is never easy, as you will need to make decisions and face challenges, but it can become natural and rewarding. This talk educates the audience in the finer points of leadership and influence. I go through the components of both skills and then illustrate how to weave them together to be an incredibly effective leader. An employee with high emotional intelligence can manage his or her impulses, communicate with others effectively, manage change well, solve problems, and use humor to build rapport in stressful situations. These employees also have empathy, remain optimistic even in the face of adversity, and are gifted at educating and persuading in a sales situation and resolving customer complaints in a client service role. Betsy A. Haas, CEO Esteemed Human Development International, Inc.